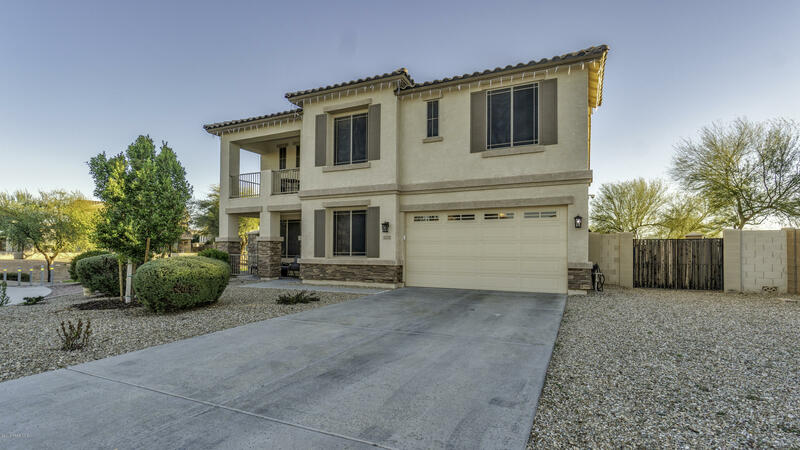 "Drive up to this Cul-de-sac to this beautiful, spacious 2 story home! Extended driveway provides immediate privacy. Kitchen equipped w/ stainless steel appliances, cherry wood cabinets, granite countertops and island. Thoughtful living room touch w/ built in entertainment center. Garage boasts 3 car tandem, side entrance with doggie door, separate workshop area, soft water loop & upgraded 50 gallon water heater. Master bedroom holds 2 closets! 2 bedrooms w/ their own walk in closets! Spacious lo"